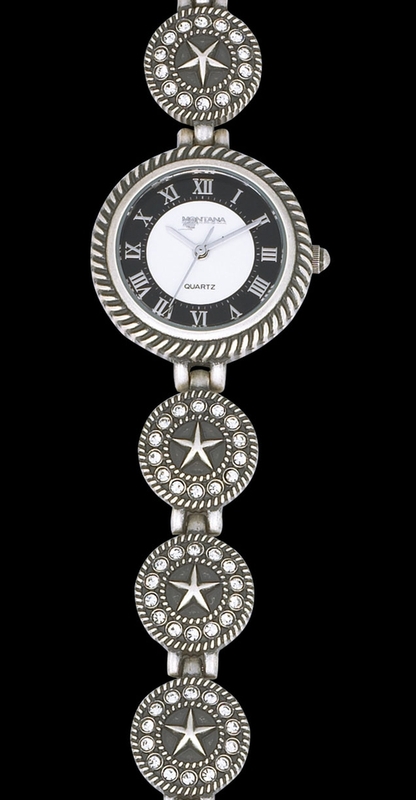 Star Concho Watch by Montana Silversmiths. Click image to enlarge. 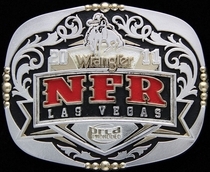 Band features antiqued silver star conchos. Size adjusts by removal of links. The Star Concho Watch arrives in an attractive gift box, ready for presentation or gift giving. Gift wrapping is also available (see above). The proprietary MONTANA ARMOR electroplate finish of Montana Silversmiths watches -- including the Star Concho Watch -- will not tarnish. They are die-struck from hand engraved masters and the finish is applied by hand by skilled American craftsman. These are true heirloom watches, built for generations.